"FOR RESULTS YOU CAN SEE, CALL C&C"
WHY CHOOSE US FOR PRESSURE WASHING? WE TAKE PRIDE IN GETTING THE JOB DONE RIGHT, THE FIRST TIME. 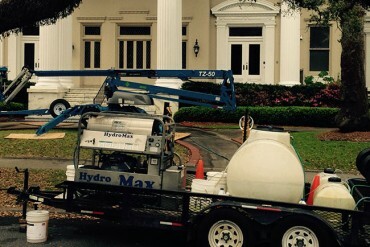 A Premier New Orleans Pressure Washing Company. C&C offers an array of pressure washing and soft washing services for residential customers. We can give your home the curb appeal it needs and deserves. Contact C&C for a hassle and cost free quote. 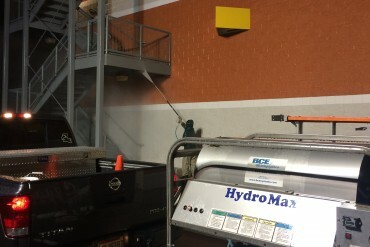 C&C is equipped to handle a wide variety of commercial pressure washing services. Whether it is a large parking lot or a simple storefront cleaning, we are here to serve. We offer exceptional service at an affordable price. Contractors, business owners and/or property managers look no further, C&C offers the results you can see! First of all, Chase is one of the most polite people I have ever met. From initial contact to end of project, he was nothing but helpful and polite. Secondly, he definitely doesn’t mind working. I can’t believe how much and hard he worked to clean my nasty house on the outside. It was a very hot day and he didn’t stop except for lunch. Get in touch with us today! We are the only pressure washing team you will need.